John Harkes is regarded as so much of an American soccer pioneer that it is a surprise he didn't arrive the United Kingdom in covered wagon. Born in the football hotbed of Kearny, New Jersey, Harkes pitched up in the homeland of football as an eager, ambition 23 years-old. This success was almost immediate, Harkes playing in the side that defeated Manchester United 1-0 at Wembley in League Cup final of 1991 and winning promotion to the top league in the same seasons. In 1993, Harkes scored in a League Cup final defeate by Arsenal. He the move to Derby County and then on loan to West Ham United to completed six years in English football before moving back to MLS in the United States. Harkes is an excellent player. Technically, he is very gifted but he has shown the mettle to go abroad and succed. In 1990, the USA team lost all three group matches, but blooded player who were to become the core of the side. In 1994, USA advanced to the knockout stage after defeating Colombia in the infamous matches were Andres Escobar scored an own goal and was shot dead on his return to his homeland. In 1996, Sampson named Harkes "captain for life" and the USA surged to the third consecutive qualification for the World Cup. 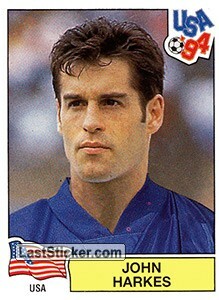 Harkes, though wouldn't play in France because his affair with the wife of a team-mates, Erik Wynalda.